Lord Rama and His army traversed the bridge to Lanka and challenged the mighty army of Ravana, and in the end Lord Ramachandra and His allies were successful. Srila Prabhupada explains that there are two types of strength: daiva and purusakara. One is the strength that one gets from one’s own intelligence and resources, and the other is the strength that one derives from higher powers, from God. And of the two, the strength that one derives from God is superior. Although from the material point of view Ravana and his army were much more powerful than the army of Lord Rama, still Lord Ramachandra’s army was successful, because they were blessed by strength from superior authorities, from the Lord Himself. Eventually Lord Ramachandra Himself engaged in combat with Ravana and killed Him. Thus, Mother Sita was liberated from her imprisonment in Lanka. Still, Lord Ramachandra was not prepared just to accept her, because she had gone away, albeit by force, with another man. And according to Hindu tradition, a woman who has gone with another man, spent the night outside of the house, cannot be accepted back. Of course, Mother Sita was completely pure and chaste, but to demonstrate her actual position, Mother Sita was put into fire—a true “test by fire.” She emerged from the fire without harm, and thus her chastity was proved. 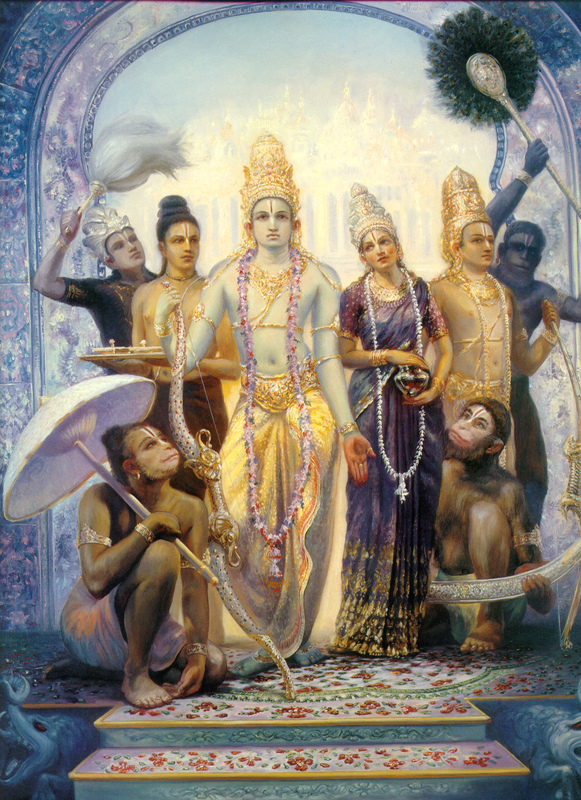 So, Rama, Sita, Laksmana, and Their associates returned to Ayodhya. The citizens of Ayodhya were jubilant: their lord and master was returning with Mother Sita and Laksmana. To welcome the Lord and His associates, they lit lamps and placed them on their rooftops, windows, balconies, and other places. And thus we have the festival of Diwali, or Dipavali, the festival of lamps. The return of Lord Ramachandra to Ayodhya was a new beginning for Ayodhya, and for us the New Year also marks a new beginning. And just as Ayodhya’s new beginning was made auspicious by the arrival and continued presence of Lord Ramachandra, so our new beginning in the New Year can be made most auspicious by the presence of the Lord; just as the denizens of Ayodhya welcomed Lord Ramachandra back to Ayodhya, we can welcome the Lord into our hearts and our lives. Of course, He is already there, but we can increase our appreciation of Him and strive to feel His presence even more. What was the effect of Lord Ramachandra’s presence in Ayodhya? And, by implication, what would be the effect of the Lord’s presence in our lives? The answer lies in a verse from Srimad-Bhagavatam. When Lord Ramacandra, the Supreme Personality of Godhead, was the King of this world, all bodily and mental suffering, disease, old age, bereavement, lamentation, distress, fear and fatigue were completely absent. There was even no death for those who did not want it. All these facilities existed because of Lord Ramacandra’s presence as the King of the entire world. A similar situation could be introduced immediately, even in this age called Kali, the worst of all ages. It is said, kali-kale nama-rupe krsna-avatara: Krsna descends in this Kali-yuga in the form of His holy name—Hare Krsna, Hare Rama. If we chant offenselessly, Rama and Krsna are still present in this age. The kingdom of Rama was immensely popular and beneficial, and the spreading of this Hare Krsna movement can immediately introduce a similar situation, even in this Kali-yuga. “In this iron age of Kali men have but short lives. They are quarrelsome, lazy, misguided, unlucky and, above all, always disturbed.” (SB 1.1.10) In Kali-yuga people’s memories, physical strength, and duration of life are diminished. They tend to be hypocritical and unfortunate and always prone to quarrel. In fact, the word kali means quarrel, and so Kali-yuga is “the age of quarrel.” We see it everywhere: quarrel and hypocrisy in every stream of life—especially in politics. The situation is very bad. And we all suffer from the threefold miseries of material existence: adhyatmika, sufferings caused by the body and the mind; adhibhautika, sufferings caused by other living entities; and adhidaivika, sufferings caused by the material nature. As mentioned in today’s verse, we suffer from vyadhi, disease. Medical science tries to give us hope that we will become free from disease (now they are talking about stem-cell research), but actually we are not becoming free from disease. In fact, disease is increasing. 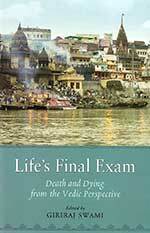 Srila Prabhupada said that if medical science were really able to cure disease, then the hospitals would become empty. The patients would go home. The doctors and nurses would have no work. But we find that the opposite is true: There is always clamor for more hospitals, more beds, better facilities, more nurses, more doctors. More students want to become doctors, and there is fierce competition to be admitted into medical schools. And there is always a shortage of nurses, so some places import nurses from other countries, although the other countries are already short of them. So, disease is not being eliminated; it is not even decreasing. We may find a remedy for one disease, but then another disease comes—and another and another—for which we have no cure. Years ago, tuberculosis was a great scourge. Now, although to a large extent we have controlled tuberculosis, we have cancer. Cancer has spread like an epidemic. Even younger people in their forties and fifties are afflicted. So, although we try to counteract the miseries of material existence by material means, the fact is that we cannot succeed. For millennia, people have tried to overcome them by material means—and failed. They have failed in the past, they are failing in the present, and they will fail in the future, because the material miseries are inflicted upon us by superior arrangement, for a reason. We have come to the material world for a reason, and the reason is that we have rejected God. We have been envious of God and tried to enjoy independently of Him. Atheists may challenge, “Where is God? Show me God. There is no God. If there is God, why is there so much of suffering in the world?” But the reason that we are in the material world and so are suffering is that we have turned away from God. We have wanted to take God’s place, and so we are being punished. But just as a criminal is punished in the hope that he will reform himself in the prison and become a good citizen, so we criminals who have gone against the law of God can also reform ourselves in the material world. And when we do reform ourselves, we can be released from the prison house of material existence and thus from the punishments of the material nature, maya. Only then will we be freed from disease, old age, death, rebirth, and other miseries. Until then, the litany of miseries continues: glani, bereavement; duhkha, grief; soka, lamentation; bhaya, fear; klamah, fatigue—we all must suffer from all of them to greater or lesser degrees. We can scarcely imagine what life would be like without them. Sometimes we even come to identify with these miseries, feel that they define our existence. We would not feel normal without them. Some people are so attached to material existence that they claim that without material misery there can be no experience of happiness. They think that everything is relative, and they identify with the dualities of the world. They conclude that if we did not suffer miseries, we would not know what happiness is. Srila Prabhupada’s reply to that is, “All right, then let me kick you in the face with boots, and then when I stop kicking you, you will know what happiness is.” Although we may make excuses and try to artificially rationalize our miseries as the other side of happiness, the fact is that we do not want them. But although it is true that in the material world there are dualities of happiness and distress, pleasure and pain, still, there is another world, a spiritual world, an absolute realm, where there are no miseries; there is only happiness and that happiness is always increasing, because we are engaging in devotional service to the Supreme Lord and feeling ecstatic bliss in our relationship with Him. That happiness is not just the absence of misery that we call happiness here; it is actual positive happiness that comes from bhakti. In fact, one of the characteristics of pure devotional service (beyond bringing relief from material distress) is that it bestows great happiness. Therefore devotees are jolly. Brahma-bhutah prasannatma na socati na kanksati: when devotees no longer identify with the body but realize themselves to be spirit souls, parts and parcels of the Supreme Soul, and when they engage in their relationship with the Supreme Soul, they become happy and free from hankering, lamentation, and fear. We can achieve this wonderful state of existence by Krishna consciousness, by invoking the presence of the Lord. Someone may question, “Well, Lord Ramachandra was present in Treta-yuga, and Krishna in Dvapara-yuga, but God is not present now. How can we receive Him?” In fact, sometimes in India people used to complain, “Kali-yuga is so bad—why isn’t God coming? He should come.” But He will come if we chant His holy name without offence. Kali-kale nama-rupe krsna-avatara. Kali-kale means in the time of Kali-yuga; nama-rupe, in the form of the name; krsna-avatara, Lord Krsna will descend. The nama is the avatara of Krishna for the present age. Therefore, the Hare Krishna movement is so important—both for us as individuals and for the world—because chanting Hare Krishna can invoke the presence of the Lord. And in the Lord’s presence, the symptoms of the age of Kali, which are so terrible, will disappear, and we will invoke the same situation as in Satya-yuga, the golden age. Srimad-Bhagavatam has informed us that during the reign of Lord Ramachandra the situation was just like in Satya-yuga, the golden age, although He ruled in Treta-yuga. And now, even in Kali-yuga, the worst of ages, the same principle applies: If we invoke the presence of Rama and Krishna by chanting Hare Rama, Hare Krishna, we can experience the same situation of Satya-yuga and be free from all these distresses. So, this is our opportunity to make a new beginning—to begin our practice of Krishna consciousness, or to renew our commitment to the practice of Krishna consciousness, to renew our efforts to invoke the Lord’s presence through the holy name and other devotional activities, and to try to work with other devotees of like mind to invoke the Lord’s presence for the benefit of more and more people. We should try to encourage more and more people to chant Hare Krishna, Hare Rama, and thus invoke the presence of the Lord in their lives. There are so many political movements, and if a particular movement is not successful in gaining control of the government, the movement more or less fails. 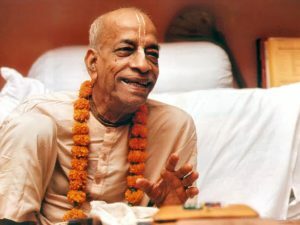 Srila Prabhupada points out that if Krishna consciousness is actually accepted by enough people and they elect a leader who is Krishna conscious and the government is conducted on principles of Krishna consciousness, certainly the whole world will benefit; but even if Krishna consciousness does not spread on such a large scale, any individual who adopts Krishna consciousness will benefit personally. He or she does not have to depend on others, that they should also accept. But any single individual who accepts Krishna consciousness can get the full benefit. It is more out of compassion for others that we want them to take Krishna consciousness, so that they can be relieved from the miseries of material existence, which are worse in the present age of Kali. So, we have every facility. Srila Prabhupada has given us every facility—beautiful Deities, the holy name, the knowledge of Bhagavad-gita and Srimad-Bhagavatam, the association of devotees. In the year to come we should take full advantage of these facilities and make Krishna consciousness the most important part of our lives. And we should work together with the devotees here to help others become fortunate and get relief from the material miseries. Recently we have been hearing, “A vote for so-and-so is a vote for God.” Well, we do not know for sure about that. But a vote for Krishna or Rama is definitely a vote for God, and that is the party we should support. Sri Ramachandra Bhagavan ki jaya! Sri Krishna Bhagavan ki jaya!